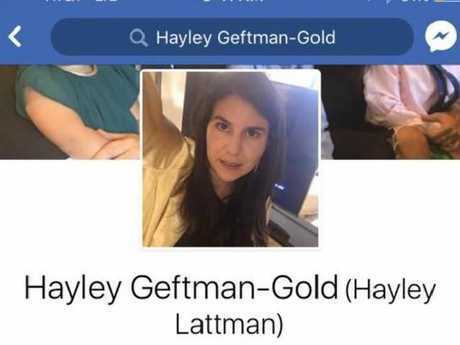 TV NETWORK CBS has sacked a legal executive who said she was "not even sympathetic" to the victims of the worst mass shooting in US history because they were probably "Republican gun toters". "If they wouldn't do anything when children were murdered I have no hope that the Repugs will ever do the right thing," Ms Geftman-Gold wrote, referring to the long-running gun control debate and the 2012 Sandy Hook school massacre. 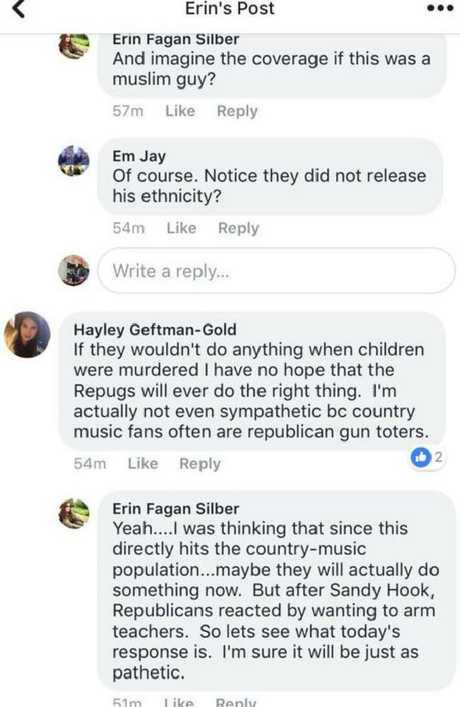 "I'm actually not even sympathetic bc country music fans are often Republican gun toters." Another commenter agreed. "Yeah ... I was thinking that since this directly hits the country music population ... maybe they will actually do something now," wrote Erin Fagan Silber. "But after Sandy Hook, Republicans reacted by wanting to arm teachers. So let's see what today's response is. I'm sure it will be just as pathetic." "This individual, who was with us for approximately one year, violated the standards of our company and is no longer an employee of CBS," the company said in a statement. "Her views as expressed on social media are deeply unacceptable to all of us at CBS. Our hearts go out to the victims in Las Vegas and their families." In June, after Bernie Sanders supporter James Hodgkinson attacked a Republican congressional baseball practice game in Virginia, injuring five people including House Majority Whip Steve Scalise, former CBS anchor Scott Pelley described the shooting as "foreseeable, predictable and to some degree, self-inflicted".